DeLoss Dodds – Will not end the Mack Brown era because he wants to end his legacy with hiring the second greatest coach in the program history. DeLoss has a $1 million buyout that goes into effect after August 2014. The next AD, which will not be Mack Brown, will have to make the call on the next coach. Big Money Booster – Will not fire Mack Brown because of all the relationship building and the good will that he has established. They want Mack to retire when he is ready. The word around the program is that the 2013 season is supposed to be the year for a BCS trip for the Horns. A total collapse (another 5-7 season) is the only scenario for them to act. President Powers & the Regents – Read the latest edition of Texas Monthly and you will see that these two entities have plenty to deal with that has nothing to do with football. Longhorn Network – This entity does not have control over the coaching decision, but they can certainly influence it. The network would not be here unless Mack Brown was present. Even though, the coach is quick to criticize the amount of time he spends with LHN. 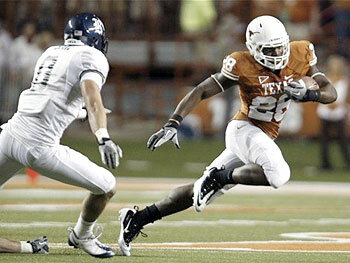 Mack Brown – He is too much of a competitor to leave the ship. He wants to fix this more than anyone, but unfortunately his desire to go out on top may further erode the program. The spirit is willing for Mack but the flesh is weak which means he does not have the energy to reach the high standards that he has set to turn this program around. Side Note: If Gene Chizik is fired from Auburn, get ready for him to join the defensive staff to try and correct the ills that many people blame Manny Diaz. I agree with every one that says if you are going to point out the problem you better have a solution. Everyone has names that they want to throw out. I have to give credit to my friend Country Ham that came up with this coach as we were brain storming for a possible candidate for next year or more likely in 2014 if the luster has not left this coach. My suggestion is Dan Mullen who is the head coach for Mississippi State Bulldogs. He has a .622 winning percentage in the SEC over the past four years. He currently has an undefeated team which he will eventually secure his third winning season at MSU. The 40 year old coach will bring the edge, youth and program selling approach like Mack. He has a no nonsense approach with the media, and I think he would gravitate to the big stage which includes LHN. Mack has set the tone by recruiting coaches from the SEC, and Dan Mullen fits right into that direction. Dan does have credibility with 2 National Championship rings and comes from the Urban Meyer coaching tree if that does anything for you. Mack will eventually leave because he will not want to pass Darrell Royal’s all time record for wins which is at 167. (Mack has 142 wins to date). The biggest issue is where is the program headed more than what is Mack Brown want to do. WTH?! (What the Heck?) moments are attempts to find the memorable and the off-beat perspective on Longhorns sports. Here are some interesting moments from the Texas’ game against the Aggies. Pre-Game WTH 118 years?! I agree that egos have caused this rivalry to end. The Aggies says “It’s time for Texas A&M”… to slug it out with the SEC. The Horns have their path to blaze (LHN). Divorce is tough. Let’s reunite for the kids’ sake. 1st Quarter (7:26) WTH Tucker?! The 31 yard punt by Justin Tucker was making every Longhorn fan pull out their hair. The only good outcome was that most of his punts were never returned. He definitely made up for his punting woes at the end. 2nd Quarter (12:13) WTH Refs 1?! Keenan Robinson was called for roughing the passer when the QB Ryan Tannehill landed on him? Keenan must have pissed off the entire officiating crew because he also got called for a horse collar penalty in the third quarter when he clearly just had the jersey. 2nd Quarter (9:31) WTH Shipley?! This is not for the pass play to Irby for the first score. Before that play and the muffed punt that caused all the electricity for the Horns, Jaxon Shipley I think had the play of the game. On third down his bad knee gave way and he barely got a hand on the ball to knock it down. An Aggie defender was there ready to make the interception and take it to the house. Close call! 2nd Quarter (1:47) WTH Harsin?! Coach Harsin I am going to blame you for this interception thrown by Miles Onyegbule. Your innovative play calling gets this Horn team so fired up that they will throw into triple coverage to please you. Short gameday feature on Case McCoy and Jaxon Shipley from the Longhorn Network. Who knew Mack Brown was such a Dancing with the Stars fan? I want a TV hidden behind a painting in my office.